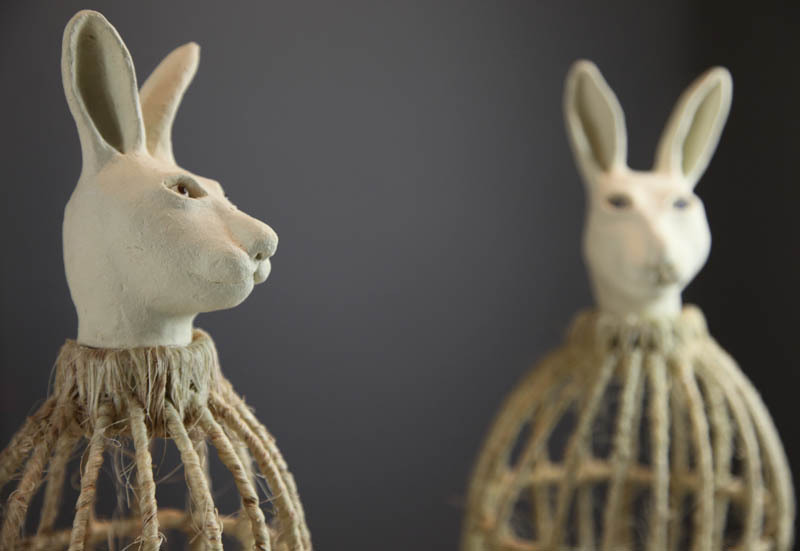 “Anthropocen-trap” combines the words “anthropocentric” and “trap” to suggest the human-centric perspective that both defines and ultimately limits the way that animals are predominantly perceived. We have established a contradictory taxonomy of the animal world that positions rabbits, for example, as both cuddly companion animals and meat and fur products. We produce toys and illustrate children’s books with images of cute animals yet we trap, cage, torture and kill billions of them annually. 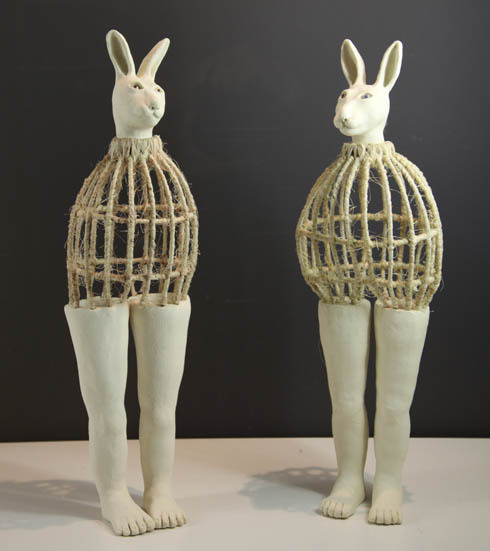 In these sculptures, a cage and corset-like body, connects animal and human. 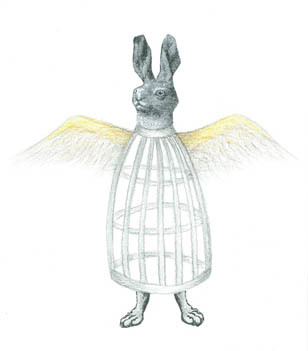 For me the” cage” –or “coop” is symbolic of both literal entrapment, but also the metaphoric restraint of an historic and enduring anthropocentrism that inhibits us from questioning the ethics of our contradictory relationship with other animals. Claude Jones was born in New Zealand and moved to Australia in 1987. She has studied visual arts in Australia, Canada and the USA and currently lectures in the printmedia studio at Sydney College of The Arts. The artist has had several solo exhibitions, has participated in numerous group exhibitions both nationally and internationally and has been awarded artist residencies in Canada, North America and Spain. 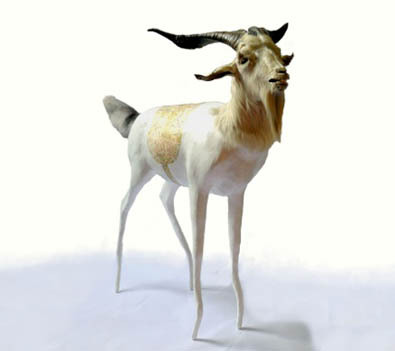 Her work focuses on the creation of peculiar biologies - hybrid and mutant chimeras that reflect our changing biological and psychological relationship to nature. Her prints, drawings and sculptures are represented in public and private collections around the world. 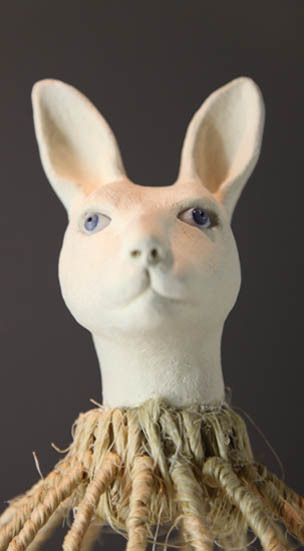 Claude Jones is currently represented by Artereal Gallery in Sydney. Claude jones will be in The Netherlands in 2013 for an artist in residence at the Sundaymorning@ekwc in Den Bosch.